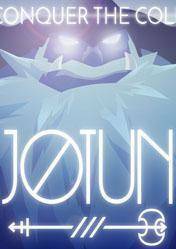 Buy Jotun cd key for PC in digital version at best price is already possible by Gocdkeys! You can preorder Jotun for Steam in any of the online shops registered in our price comparison site. To activate the download from Steam, you must add the digital serial of Jotun into your user account. In Jotun, our valiant character is Thora, a Viking warrior who died without glory and must prove himself worthy of the approval of the gods to enter the coveted Valhalla. We will explore vast frozen regions, located in purgatory and find runes to well face the fearsome Jotun, elementary Nordic giants. Fight them using a huge two-handed axe, the blessings of the gods and their skills. The graphics are superb, with beautiful hand-drawn animations. Explore with your hero through nine huge and mysterious levels full of Viking mythology, as we move into an epic story of courage and bravery. We can make use of the blessings of the gods as well as our Viking skills to deal with the terrible Jotun threat. And all it accompanied by an incredible soundtrack that will immerse us in the wilds of the Viking purgatory, waiting for the gods accept our entry into Valhalla. Remember that all stores appearing in gocdkeys have been tested by our team so they are 100% reliable, even so, we recommended you to carefully read the specifications in each store at the time of shipping, ways of activation (in case it is digital version) and methods of payment. ??????????? ?????? : 4 GB ??? JOTUN - Gameplay com Novo Boss!!! Impressionei os Deuses! ?